Do you have a dog who is hard to walk on a lead, but almost never a problem when off it? If so, you’re not alone. I’ve come to realise from my daily conversations with dog owners that we may actually be in the majority. It’s time we stopped feeling embarrassed and started to look into why our dogs behave the way they do on a leash and what we can do about it. Here is a typical story. I was walking my Loki to school the other day and met another dog walker going the same way. Her dog immediately started barking and yelping in response. Before too long the behaviour turned to lunging and snapping. She said (a little embarrassed) “he’s not aggressive”. My kids said (in disbelief) “he’s out-Loki’d Loki”. And it was true. The pipsqueak who has made leash reactivity his signature move was completely overwhelmed and confused. What happened next I blame entirely on the morning coffee failing to activate my “think it, don’t say it” circuits. What Causes On Lead Aggression? Leashes limit freedom to move and take options away from dogs. When a dog is in a situation that makes then uncomfortable, they’ll usually want to create space and move. If they can’t, they may think aggression is the best and only control they have left. That’s why using leashes is unpopular in off-leash areas. Leads also cause frustration, like in the example above, that quickly turns into aggression. The most important thing to know is: many normal, social, friendly dogs are leash aggressive, and it can happen to any dog. The trick is to be aware of your dog’s needs. Like all problem behaviours, leash reactivity is hard to eliminate but easy to make worse. It’s a case of slow steps forward and giant ones back. It seems impossible at times and must be one of the most frustrating behaviours to fix, but it’s worth it. Dog walking can actually be fun and relaxing again. Reactivity in dogs varies a lot in intensity. Some are easy to manage, other will be a challenge even to the best trainer. The tips I give below relate more to the milder cases like Loki. I’ve got to say this: no matter how much good advice I may give you, it’s nothing compared with what a behavioural consultant can give you just by watching your dog. I’m not a dog trainer- this is a vet’s and pet owner’s perspective, so I’ll start by saying: why go it alone? 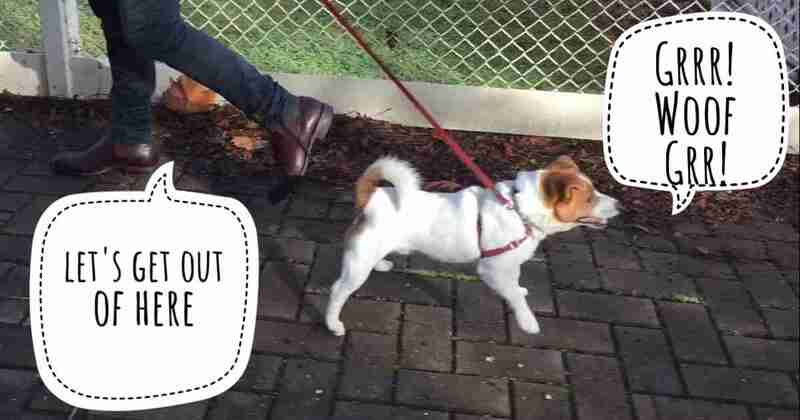 We know so many wonderful positive dog trainers who can walk alongside you and the Animal Welfare League run a class called reactive rover just for fur kids like these. Any good behaviourist will recommend a vet checkup first. A dog’s anxiety can be caused by pain or vision problems for example. If you haven’t taken Rusty to the vet recently, it’s best to do so before assuming he just has a behavioural problem. The trick is to find a way to keep your dog’s attention on you until the dog is far enough away to be forgotten. The video shows how I manage Loki by always carrying a tennis ball on walks. When I pass a problem house, or another dog appears, I break out the ball. This only works because to Loki, the tennis ball is his greatest obsession. I’ve written about the harm tennis balls cause to dogs recently, so this is the only time he gets one. You can do the same thing with treats if they work. It’s also great if your dog can sit or drop and wait for a treat until another dog passes. A good dog trainer will, of course, show you how to teach this skill in a far better way but here’s a shortcut to get you by. The last thing that should happen when your dog sees another dog is for their neck to be constricted. This will make aggression worse. Move the attachment point either up to a head collar (Halti®, Gentle Leader®) or down to a front-attach harness (Easy Walk® or SENSE-ible®). You should also get better control of your dog. Check out the options at your vet or training school. An anxious dog needs you to be a calm and confident leader. Most dogs will be more capable of remaining under control when approached if you are as well. If you are tense, your dog will pick it up so even ‘pretend’ to be calm if you have to. A few weeks ago I published this infographic on our Facebook. If both sets of owners did this, there would be a lot fewer problems on walks. When dogs meet, it’s also important that they don’t rush straight in without a sniff first. If you have a dog that charges up to other dogs, you probably already know how much other dogs don’t like it. 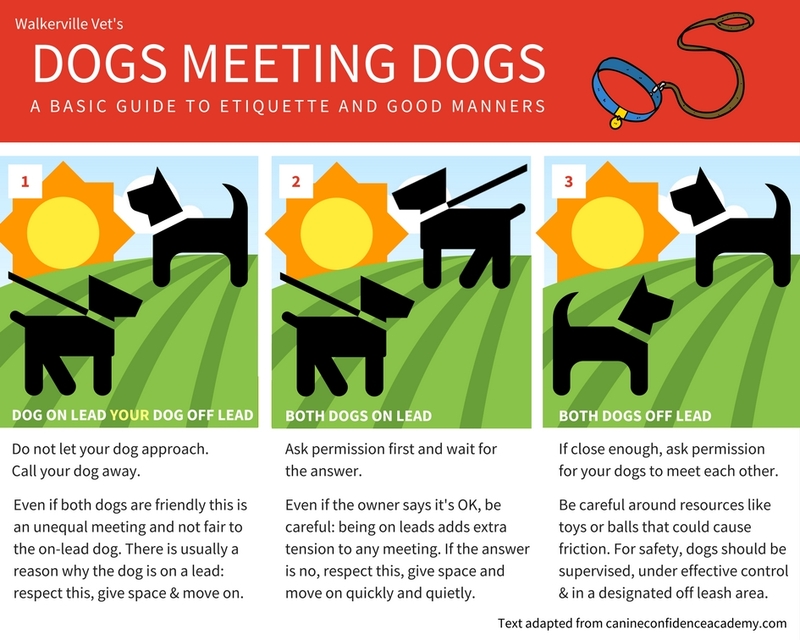 Try and get them to slow down a bit first and check each other out on a loose leash. If you keep walking two reactive dogs near each other, they usually settle down quickly. Another way to prevent escalation is to not have your dogs triggering all day to passers-by. I added a second fence to keep my dogs behind the house and it drastically reduces reactions to street noise. Of course it will also help the poor reactive dog that happens to pass by! Lastly, a behaviour problem avoided may not get better, but it won’t get worse either. This could include avoiding certain houses where you know other reactive dogs live or just avoiding all dogs on leash. It could also mean being attentive to danger and very blunt with people who say “it’s OK, my dog is friendly”. If you see these signs make sure you give your dog some space immediately. There may be only seconds to spare. My 3 year old Doberman lunges and barks when he sees another dog on walks. We have tried the make him sit, food treats but with no good results. Can you suggest a good behaviour therapist who is in Adelaide Northern suburbs that would be able to help us? Hi Lesa. 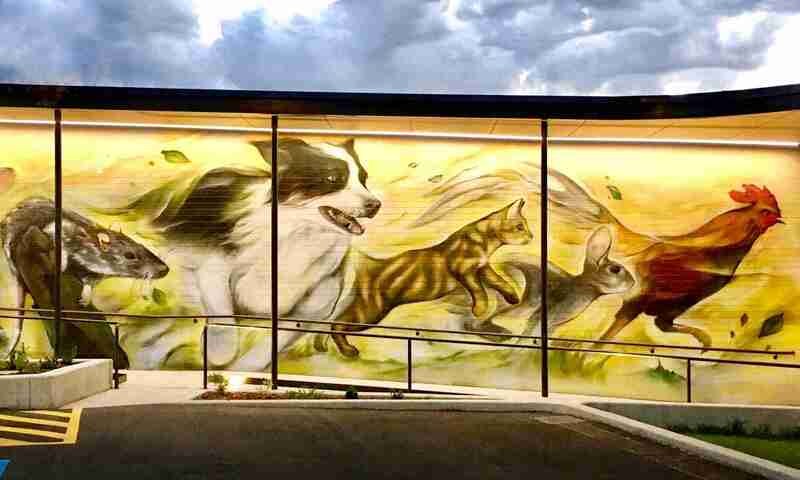 You can start with any of the schools on this list of force-free trainers https://www.walkervillevet.com.au/blog/adelaide-dog-training/ (they should have or know good local people) but Ian McBryde at Salisbury Highway vet is also very good. My maltese dog 9 yrs is a rescue dog who ive had 8 yrs. Im 80yrs old living in a retirement village. I still walk her & my other shizu x. Ive had to stop their walks as my maltese goes mental if she sees another dog which are many. Ive watched your video & she behaves similar to yours but much much worse. She dosent have a favourite toy. I cannot afford a trainer surving on a pension. Any advice would be muchly appreciated. Many thanks in anticipation. Hi Jean. I’m sorry that my only other suggestion is to engage an experienced dog walker. Getting a trainer out to look is, of course, ideal, and probably not as expensive as you fear. Any other advice than in the article could be too risky to give for you or your dog. Next PostNext Should I Brush My Dog’s Teeth?